Use our 10 part study to teach the Lord’s Prayer for Kids from Matthew 6:9-13. In many churches, kids will memorize and recite this passage as a foundation for lifelong habits of prayer. Our curriculum and printables will reinforce that process and help kids comprehend the meaning in each petition of Jesus’ model prayer. Click on the image above to download in PDF format pages to print. We’ve also uploaded the WORD document (.docx) if you would like to make changes before you print. The links below go to the individual pages in the coloring book. That is where you can find each individual sheet in PDF and JPEG format. We also found some great ideas for teaching the Lord’s Prayer on this reader’s blog post. Fantastic Sunday School lesson. I followed it from beginning to end. I’m thankful that the kids I teach can follow along with the prayer now when the adults recite the Lord’s prayer at the end of the service. This sight is a God send to me. I have never taught Sunday School, but we have a very very small church and your sight has basically been my go to site for lessons. Thank you. 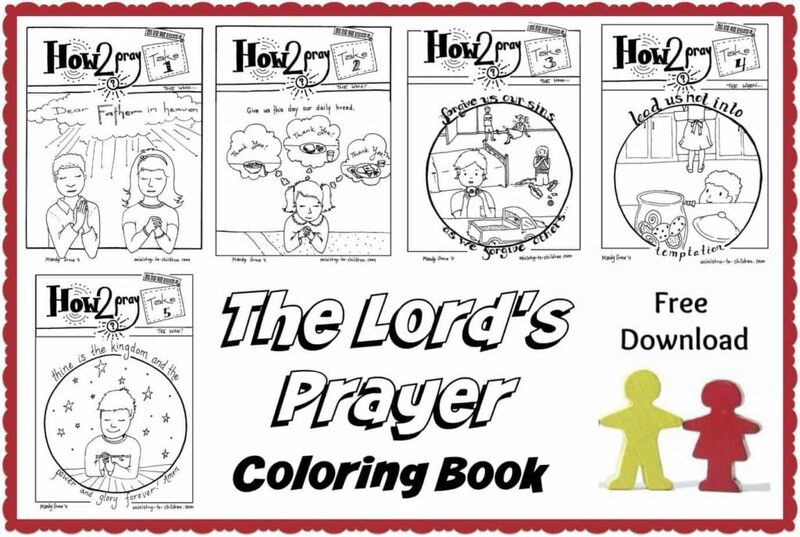 Thank you for your website on Teaching Children fun ways in learning the Lord’s Prayer! I can’t tell you how thankful I am for all your resources. May God continues to blessed you for all the teaching ideas! God bless you for yielding to Him. Am so glad to have been led here. Our children’s church will benefit greatly from all the resources here and they are FREE!!! Thank you, thank you, thank you. Tony Kummer (Editor) reviewed & updated this page on : March 7, 2019 at 10:24 am. All our content is peer reviewed by our readers, simply leave a comment on any post suggest an update.